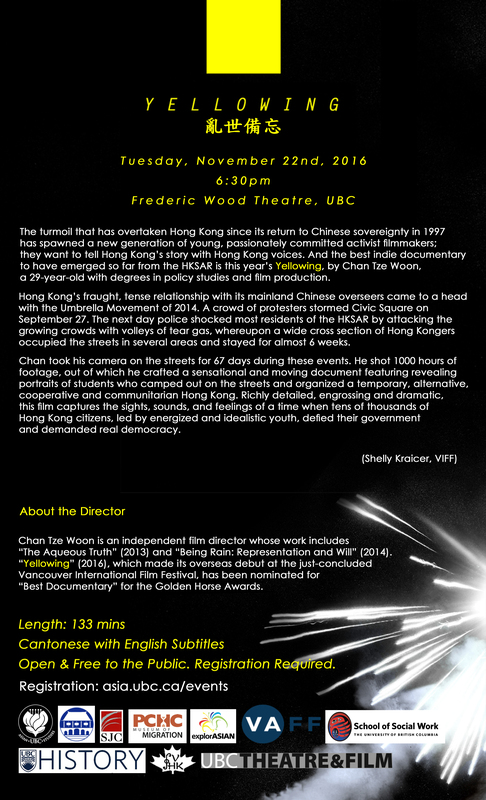 A documentary by Chan Tze Woon on the “Umbrella Movement in HK”, shown at the 2016 Vancouver Film Festival. The film has been nominated for the Golden Horse Award in Taiwan. Tags: film screening, Hong Kong, Umbrella Movement, VAFF, VIFF, Yellowing. Bookmark the permalink.